Even great things go out of style! 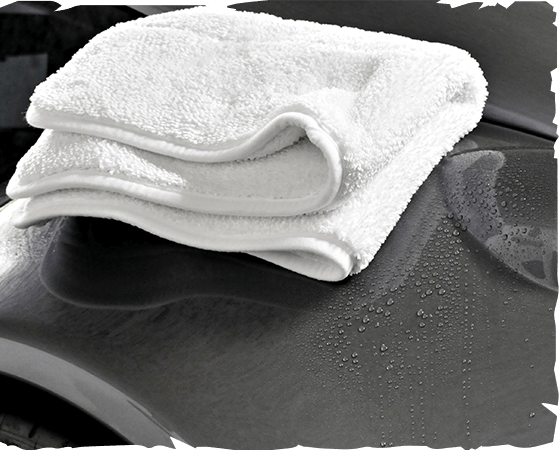 When it comes to carcare, we especially mean the old fashioned natural chamois to dry your car. We wouldn’t say that it didn’t work well in the past, but there have been major improvements during the procession of microfibers, which replaced the natural drying towel step by step. One of the greatest benefits of microfiber is the ability to clean them in the washing machine and even put them in the dryer. In addition to this fact, we are able to produce a very thick and soft microfiber drying towel to gain unrivaled water absorption and scratch safety. We have created top-notch drying tools for every demand and have even added some crazy ideas to solve real problems, like the unique “Dropnetic” or “Drying Diamond”.